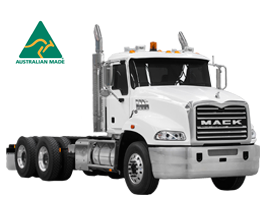 Every Mack has been designed to weather the tough Australian conditions. Full of power, with a technically advanced powertrain and with high driving comfort. 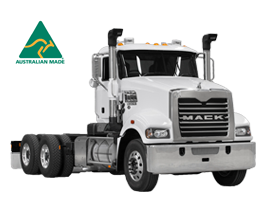 You want a Mack truck. When the job is remote and the roads are challenging, you need the right equipment for the job. The Mack Titan delivers when the going gets tough. 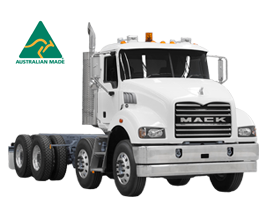 The Mack Super-Liner is one of the hardest-working trucks around. With massive horsepower and torque, it’s the truck of choice for people in heavy haulage and demanding line-haul. 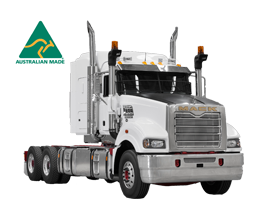 The Granite’s lightweight chassis can carry heavy loads while staying nimble, and its Mack MP8 engine is powerful and fuel-efficient, creating an unflinching truck built with true grit. 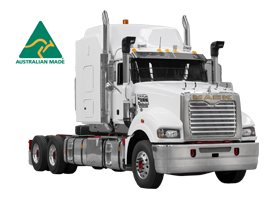 With the largest truck dealer network in Australia & New Zealand our team of technicians are expertly trained to keep your truck on the road for longer intervals. Cash flow is king in the transport business, so knowing in advance how much you’re going to pay to keep your fleet running is a huge advantage.